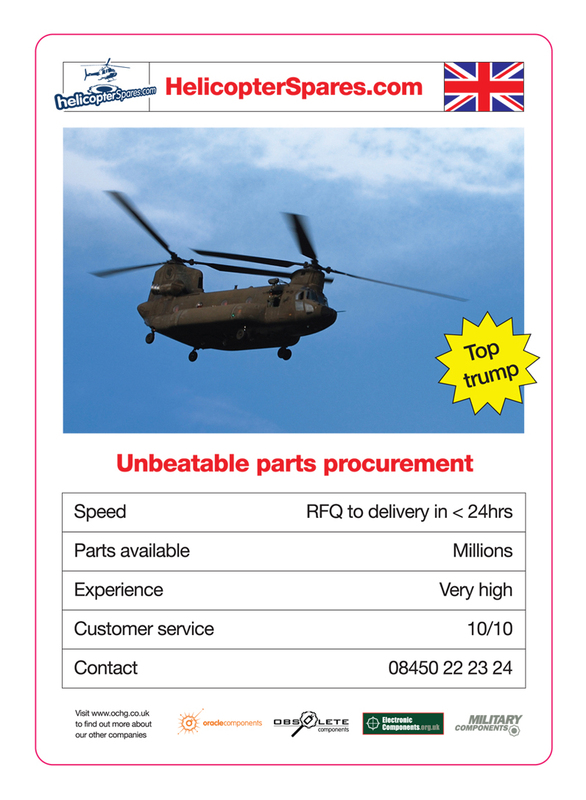 Helicopter Spares is a division of Oracle Components Ltd it helps you by supplying parts from all over the world providing quality and prompt delivery. 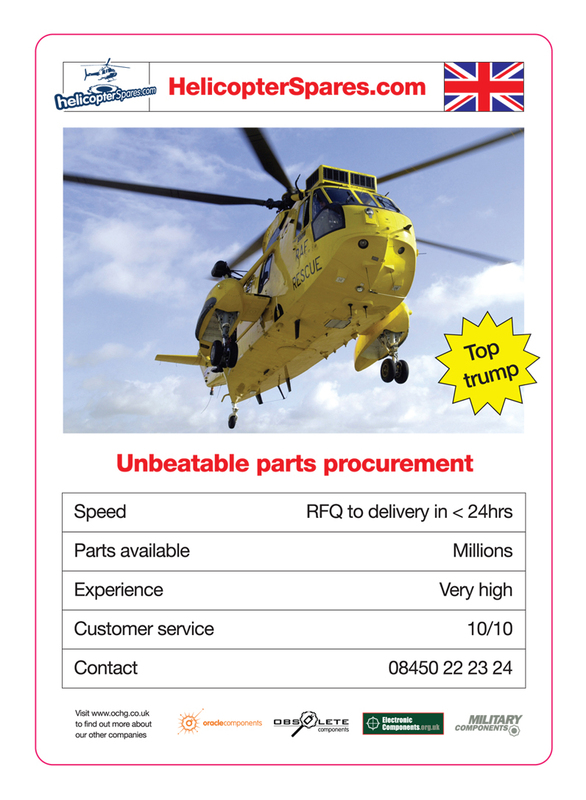 Our supply chain is dynamically tuned to the needs of our customers, we only offer guaranteed on-time genuine parts. We can save your organisation time and money with less administration, reduced vendor base, and less delivery issues. Leading to streamlined orders, invoices and fewer payments needing to be made - combined with the fact we won't go off sick or on holiday. 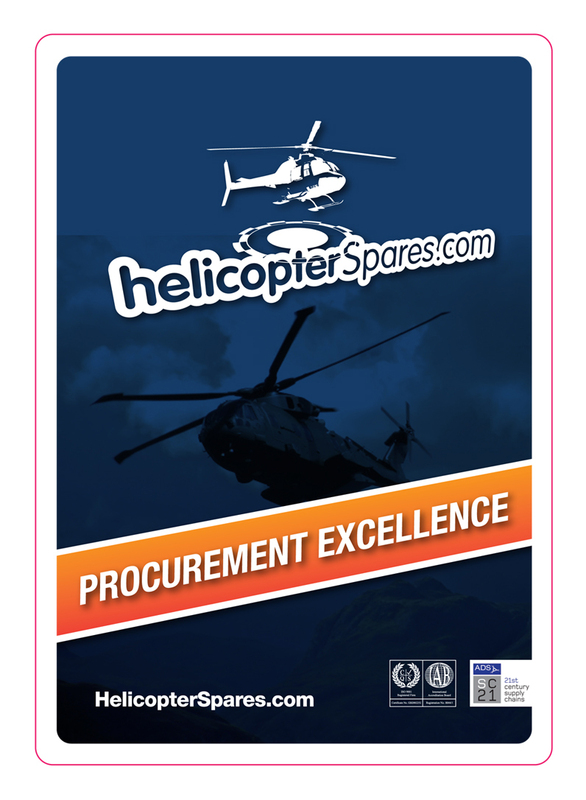 Helicopter Spares provides a dedicated aerospace spares supply manager who's on hand throughout the day and via email into the evening. 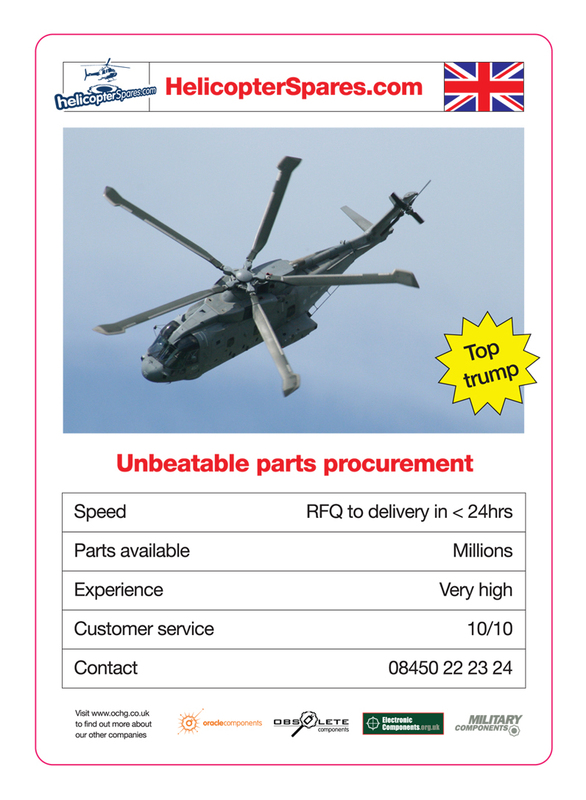 Managing government and private sector contacts, in both defence and commercial sectors, to supply spares on an ongoing basis to rotor wing operators through the UK and Europe. We can be reached via the contact us section to the right.